Annual operational and safety testing of our Fire Alarm Panel is scheduled to take place Monday April 8th and 9th at 9am. Our fire panel and emergency announcement system will be tested and residents may here announcements randomly throughout the building as this is being done. Our team with Fox Valley Fire & Safety will be conducting this effort, testing the main panel in the lobby, and devices throughout the building intended to help protect and warn Park Tower residents in the event of a fire or other major emergency. 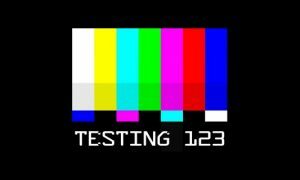 From time to time, the 8th and 9th you may hear test messages and alerts as announcements are made when they are testing devices from floor to floor. You may also see workers in the hallways as they inspect these devices, and the strobe lights on the speakers may flash from time to time. We appreciate everyone’s patience and understanding as we conduct this important work. We apologize in advance for any inconvenience. If you have any questions, feel free to e-mail us at parktowercondo@draperandkramer.com, or give us a call at 773-769-3250.